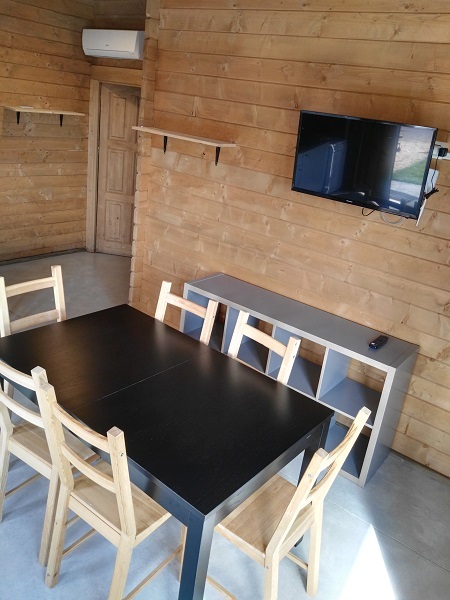 Chalets Gran Montori are wooden chalets of 50m2 plus a covered porch, built in 2017 exclusively for the Camping Rural Montori. It also has his own garden area of between 40-70m2. 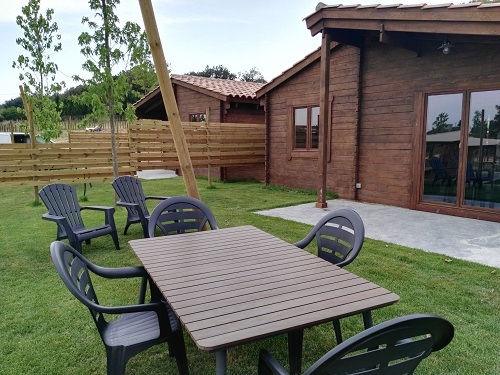 Wooden Chalets Gran Montori are perfect for two families, who want to enjoy their stay in family and lots of tranquility, but very close to the best beaches of the Costa Brava. 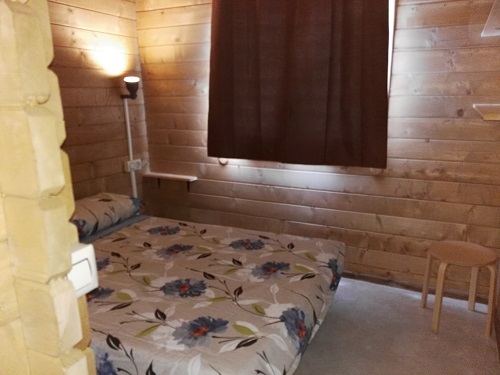 2 bedrooms with double bed (140*190). There are bed linen, blankets or duvet, and pillows. 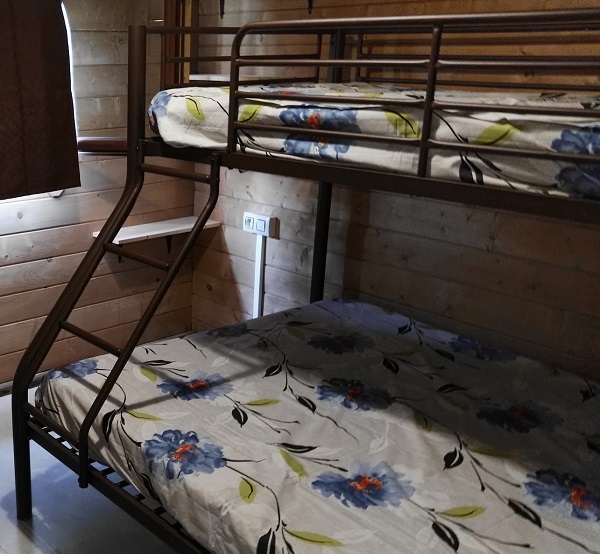 1 bedroom for 4 people, with a triple bunk bed (with double bed below – 140*190-, and a single bed above- 90*190-). There is also a single bed of 90*190. There are bed linen, blankets or duvet, and pillows. 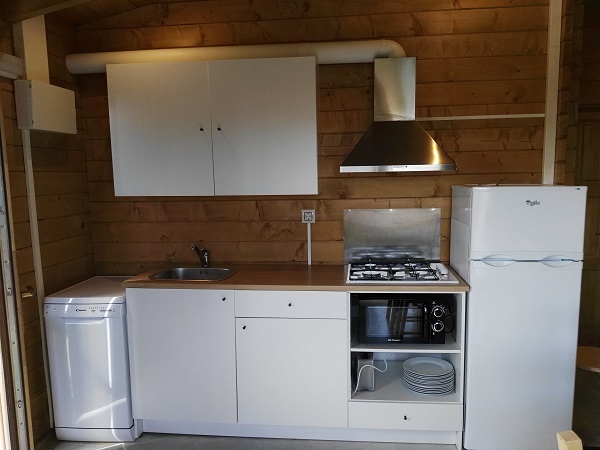 Gas hob, dishwasher, fridge-freezer, microwave, coffee-machine, and kitchen utensils. Most of the Chalet Gran Montori are paired with Chalet Montori. In low season can be rented for a minimum of two nights. In high season is rented for a minimum of 7 nights, except one that we allow shorter stays a minimum of 4 nights. 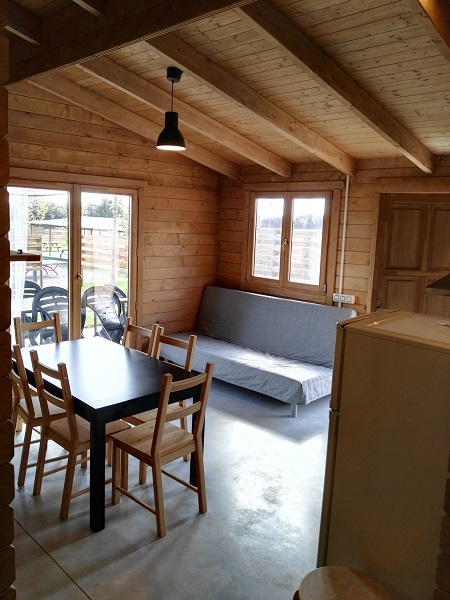 One dog not considered a race potentially dangerous is allowed in one of the Chalets Gran Montori. Keep in mind that the plot is not completely closed, therefore your pet must be tied when it is out. 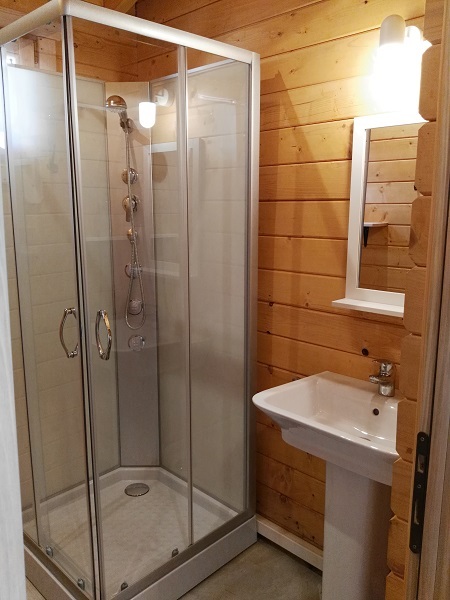 Check the availability of the Chalet Gran Montori for the dates you want, and you will see the price of your stay. 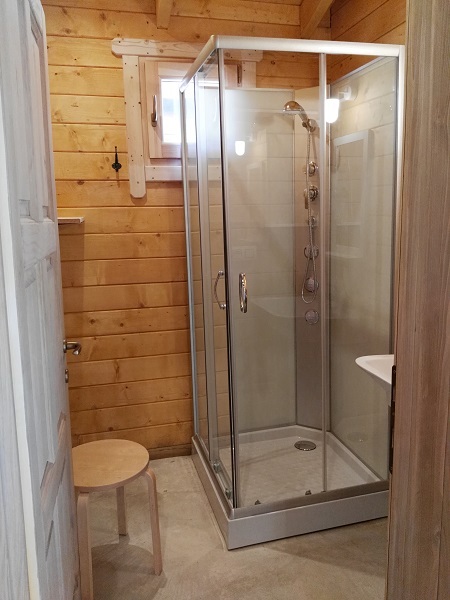 Price include two cars (one next to the chalet and the other one at the parking of the campsite). Possibility to 2 people on a sofa bed.